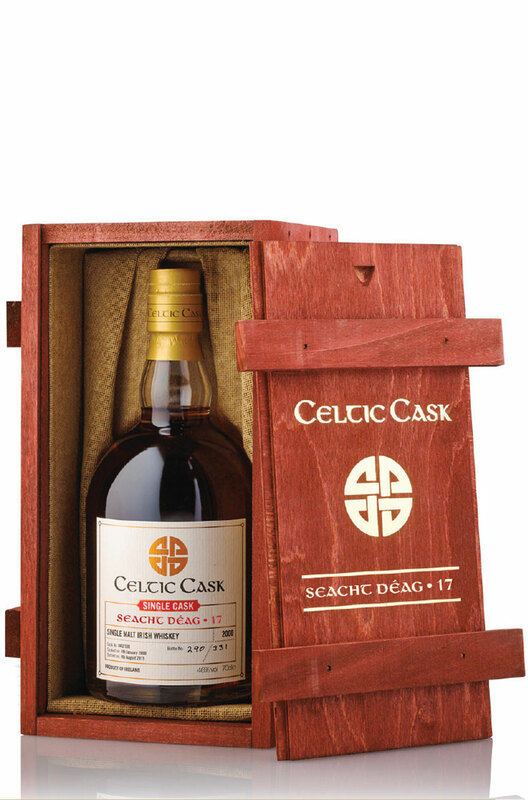 Celtic Cask Seacht Déag is a double distilled single malt that was initially matured in a Bourbon cask for 14 years. It was re-casked into a 53 litre Pedro Ximenez sherry barrel which was custom made from an old 500 litre solera cask. It was then matured for a further 18 months. The sweet Pedro Ximenez sherry barrel has given the whiskey some delicious chocolate and spiced fruit notes. This is an amazingly rich and full-flavoured whiskey and it is sure to sell very quickly. Taste Sweet initially with exotic spice notes. Dried tropical fruits, cinnamon, ginger, hot cross buns. Nose Juicy and resinous. Dried tropical fruits, cinnamon, incense, nutmeg and salted nuts. Finish Smooth and sweet. Yet fruity and lively. Types of Barrel used for Aging Finished in a Pedro Ximenez 1/4 cask for the final 18 months of maturation.